A normal play often consists of multiple acts within a two hour time span. But for two hours on May 4, audience members can see a series of nine plays for the price of one as the Bordentown Regional High School Theatre Club presents its annual One-Act Play Festival. For just $5, the public can see nine one-act plays, each lasting only 10-15 minutes. With approximately 30 students involved, new concepts and characters will be revealed as actors and actresses are challenged to move outside of their comfort zones. Plays range from comedies to dramas, including several plays by David Raine. Audiences will be able to see a wacky comedy, according to Morano, followed by a drama that may seem intense for high school students. Senior and BRHS Theatre Club president Megan Sirak said the nine plays are often unknown, as well. Sirak has participated in the festival for the past three years and has never seen a play repeated. She will be celebrating her final year in the festival as an actress in the play “Right and Left” by Raine. Sirak hopes to achieve a “wow” from the audience as with the other productions the club has performed. Morano agrees that the unique experience is something that is exciting for her as the director. “It’s a lot of fun to see those kinds of students blossom and get excited about doing a different type of show,” Morano said. 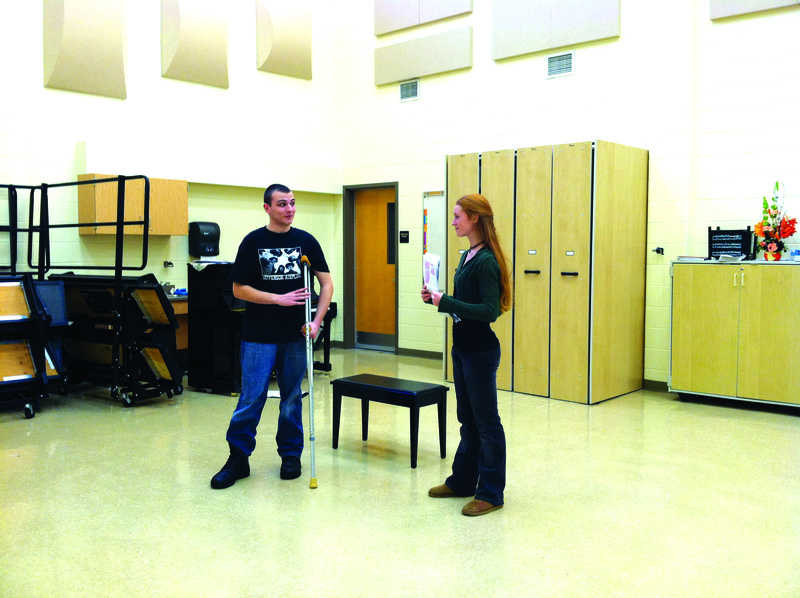 Students truly enjoy the annual one-act play festival and the audience will, too, according to Sirak. “I love the one-acts because that’s where the true magic of theatre comes through,” she said. The BRHS One-Act Play Festival will be held at BRHS on May 4 at 7:30 p.m. Ticket proceeds go toward the senior scholarship fund.